Young Jamie Blilie has sent the second installment of his most recent photos via his dad, James Blilie. The captions are indented. At bottom we have a Stephen Barnard photo of DUCKS! 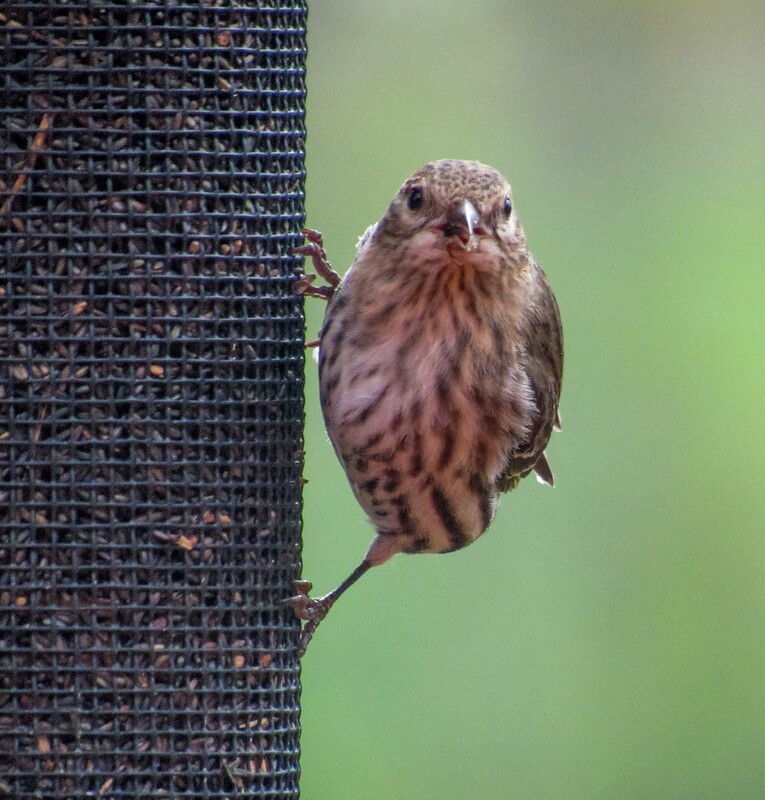 A House Finch (?) on our thistle seed feeder (Haemorhous mexicanus). An albino Eastern Grey Squirrel (Sciurus carolinensis). This entry was written by whyevolutionistrue and posted on June 19, 2018 at 9:15 am and filed under birds, mammals, photography. Bookmark the permalink. Follow any comments here with the RSS feed for this post. Both comments and trackbacks are currently closed. 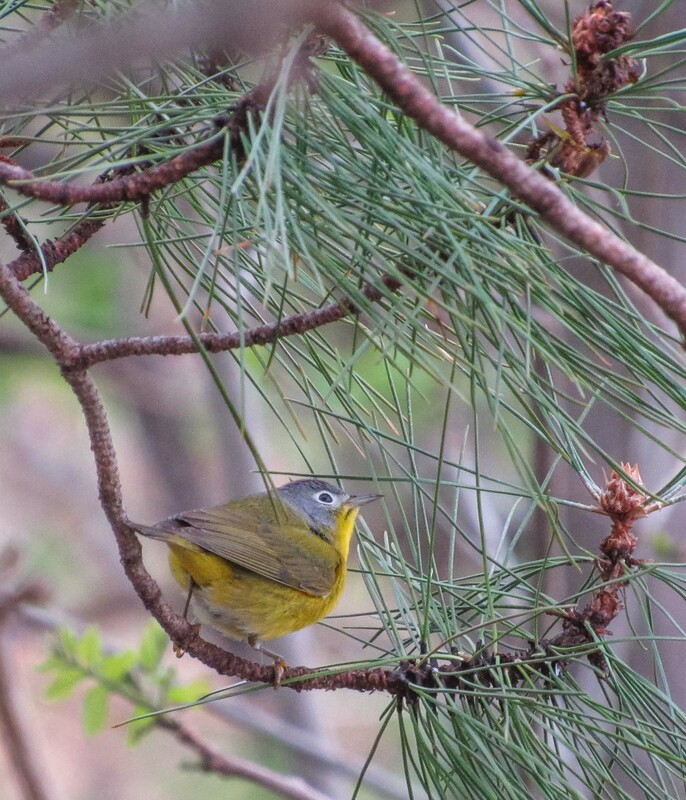 I like the Nashville Warbler and what a neat squirrel! I don’t think I’ve ever seen an albino squirrel. + 1. I also like very much the duck family. 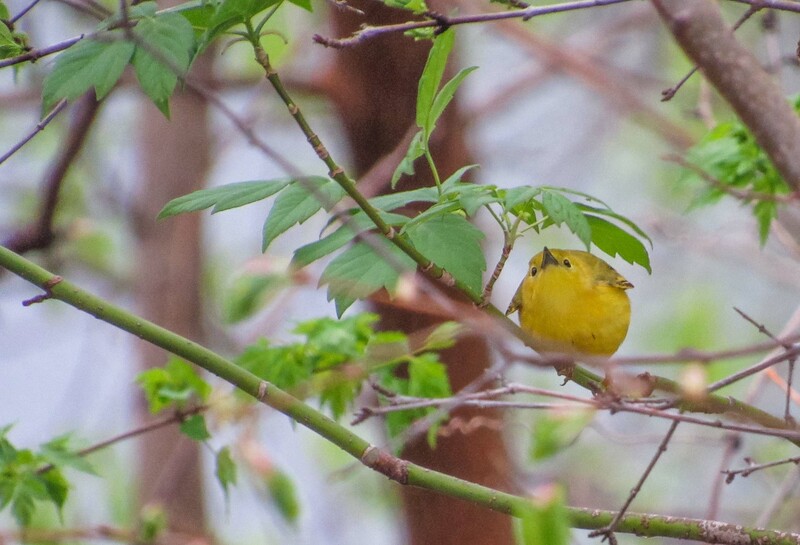 That photo of the yellow warbler surrounded by the green leaves is wonderful. I love that round ball of yellow. 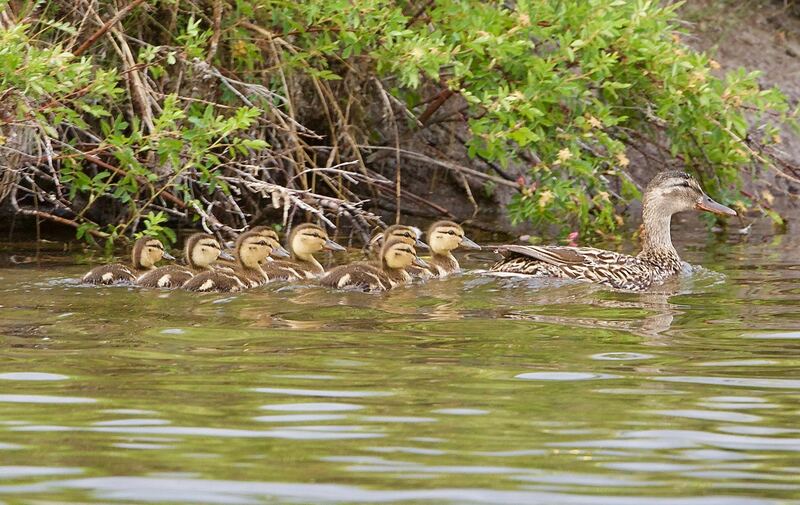 And I of course love the duck family swimming all in a row. 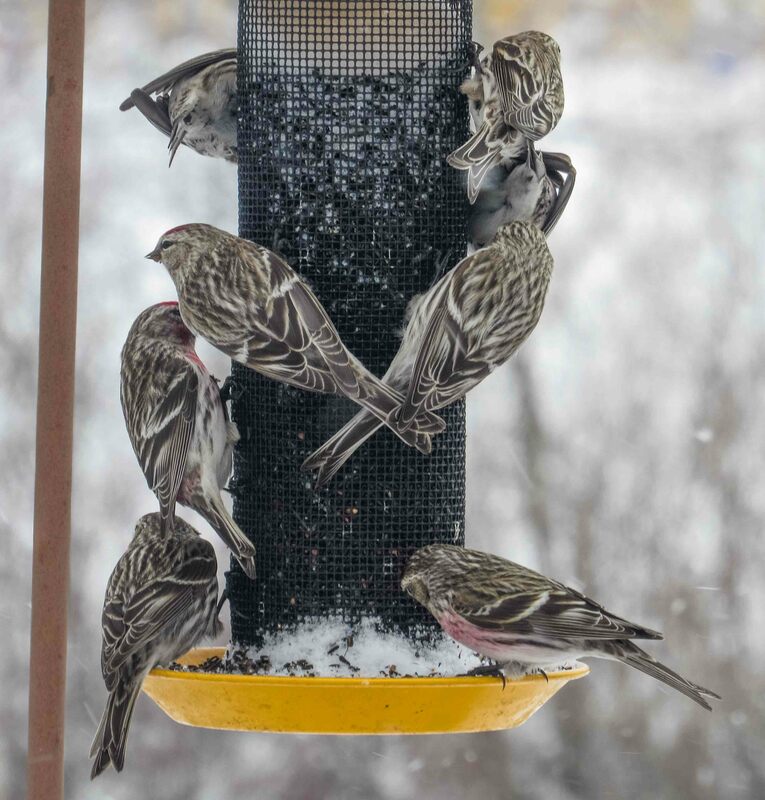 Great bird photos, especially the cluster of redpolls. I’ve seen leucistic squirrels, but never an albino, a special treat. Nice collection, great poses. Well done; young Master Blilie, especially the trio of warblers. And tell the redpolls to come back my way. They, along with the siskins and gros beaks didn’t stay long enough for my my tastes. I guess I was little more than a filling station or roadside attraction on their spring break or summer vacation. 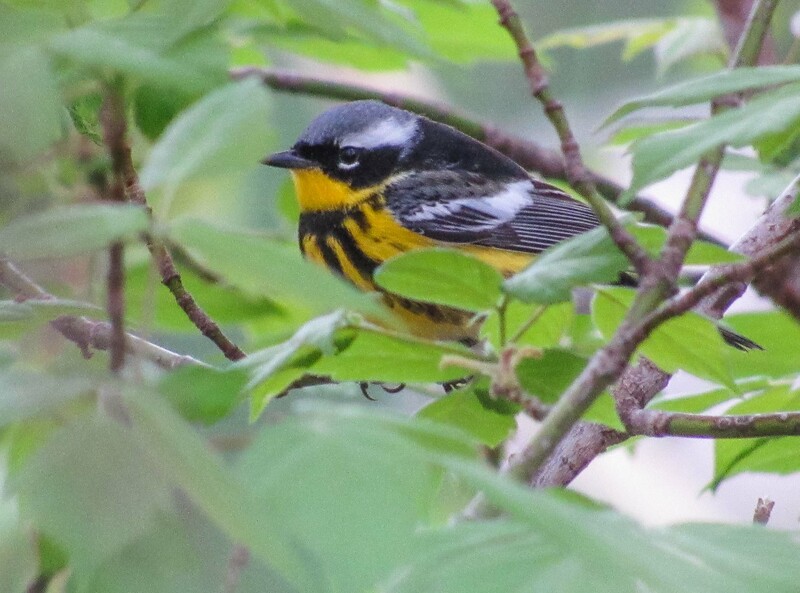 Oh, and the Nashville warbler, Oreo what? Why are they named after a cookie? I love the warblers. Neat little birdies. Stephen’s family seems to be a couple weeks younger than Honey’s. Or maybe PCC(E)’s diligent care has accelerated his ducklings’ growth.